Hannah Wilson is also a product of the Harry Wright International swimming system. She showed her potential early on, representing HK at junior levels from the age of 10. By age 15, Hannah was representing HK in the 100m Fly at the 2004 Athens Olympics and went on to compete in Beijing in 2008 and London 2012. The highlight of her career included medals at the Asian Games, Asian Swimming Championships and her amazing record breaking victories at the World University Games in 2009. After retiring from competitive swimming in 2012 after the London Olympic Games, Hannah decided to give back to swimming by taking up coaching to help other swimmers in both kids and adult programs. Hannah graduated with Bachelors degree in Anthropology from the University of California, Berkeley. 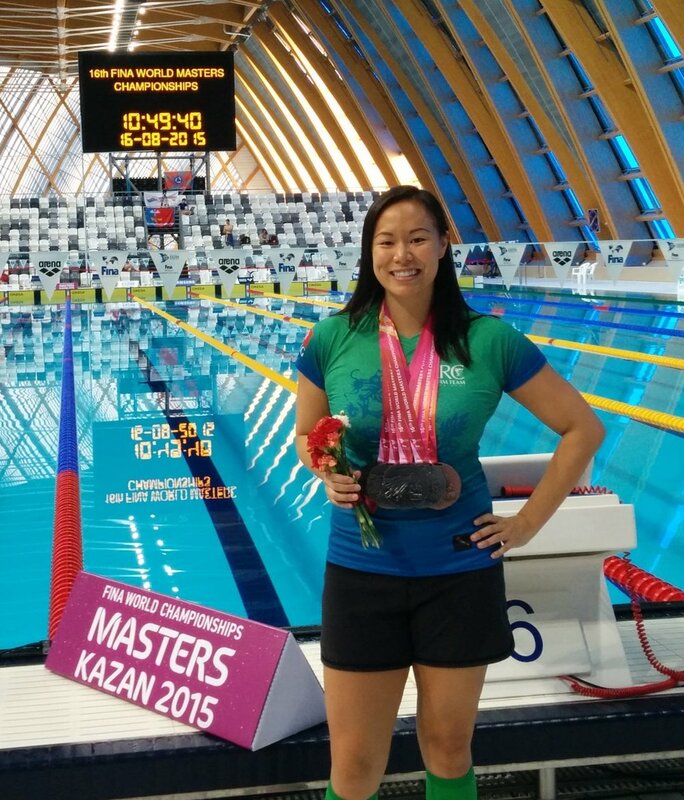 Linh Carpenter is a highly-competitive international Masters swimmer with an extensive background in classroom teaching, leadership/teacher development, and swim coaching. As the Club Captain of the Ladies’ Recreation Club (LRC) Masters Team since 2012, she has won numerous medals at several Masters World Championships (including top-10 world-ranking in her age group) and has broken over 30 Hong Kong masters age-group records. Linh has coached all levels of learn-to-swim, pre-squad, and competitive youth and adult swimmers as a head coach in California and Hong Kong. Working alongside Coach Annemarie at Splash as one of the Head Coaches and Director of Youth Programmes, Linh has been instrumental in developing Splash’s intermediate and advanced programmes, launching their summer youth programmes, and designing/facilitating coach instructional resources and training sessions. In addition to her career as a swim coach, Linh was a national-award-winning teacher and Program Director with Teach For America as well as Vice President of Teach For China’s American Program.